This exhibition is Louisiana Tech University School of Design’s first juried show to focus on Poster Art in the 21st century. 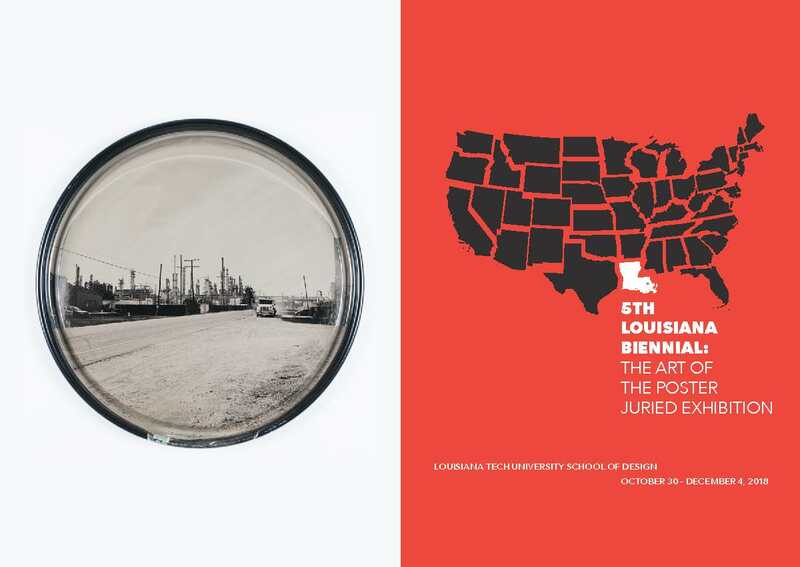 Artists currently living in the United States whose work explores the dynamic and expressive potential of the poster in contemporary art, illustration and graphic design were invited to submit work to juror Celene Aubry, Associate Director and Manager, Hatch Show Print in Nashville, Tennessee. Out of nearly 200 artist submissions, Aubry selected 45 original works with a range of stylistic approaches and processes that represent various ways the poster functions today. Subject matter includes work that addresses current social concerns, political issues and commentary, concert posters, and advertisements for cultural and other types of events. Celene Aubry is the Associate Director and Shop Manager at Hatch Show Print, the legendary letterpress print shop continuously operating since 1879 in Nashville, TN. Hatch got its start printing handbills and posters for a variety of entertainers throughout the South. Today, Hatch continues to function as a press—printing custom posters for musicians and events all over the world—while also showcasing print-centric art in their gallery and offering hands-on tours and workshops from their education space. David Emitt Adams is an artist whose current practice engages historical media in order to create an informed contemporary dialogue about photography’s past and present. For the series POWER, Adams traveled cross-country and created images directly on 55-gallon oil drum lids using the wet plate collodion process, an early photographic process dating back to the 1850’s. He hand-built an ultra large-format camera and used a mobile darkroom so that the photographs could be developed on site at oil refineries, power plants and drilling locations across the country. Read about Adams’s work in TheWashington Post. Gallery Hours: 9-4pm, M-F. Extended viewing hours as announced for receptions and events. Closed for University Holidays.